Shot medium sized whitetail buck at about 75 yards. Frontal chest shot. Bullet went about 70% thru his body and exited behind the rib cage leaving an exit whole the size of your fist. Destroyed both lungs. Buck ran about 50 yards. 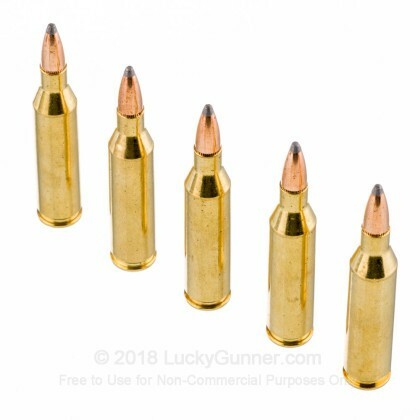 My Savage 110 prints a 3/4 inch group with this ammunition. I have found it to be effective on hog sized game as well. Bought a Rossi in .243. Fished around for something to work in my cheap gun. 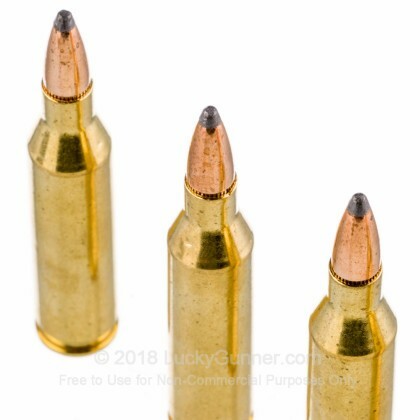 Best out of four brands and different bullet sizes. This gun likes the 80 gr. So the power shok is the keeper. Need to get some more. 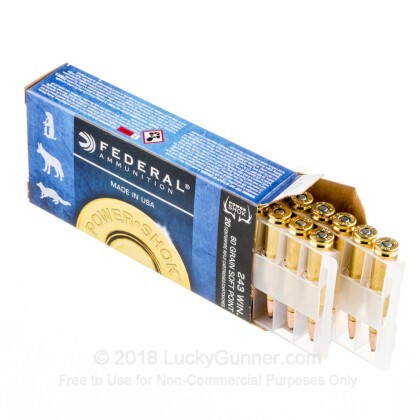 Q: I don't know if my question went through; is this ammo for the 243 magnum supershort WMMS Browning? A: Hello Tom, These 80gr. 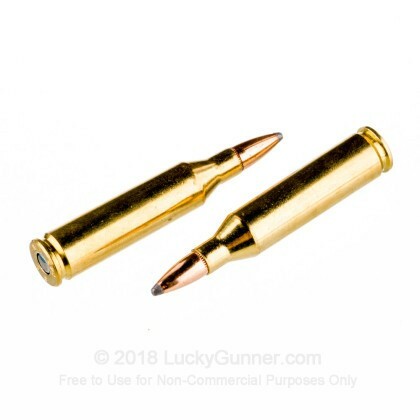 SP rounds in .243 Win. 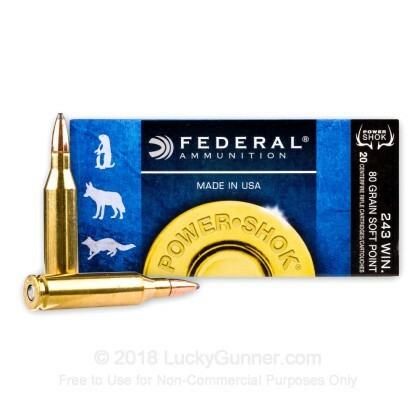 by Federal are the .243 Winchester caliber and not the .243 Winchester Super Short Magnum (WSSM). 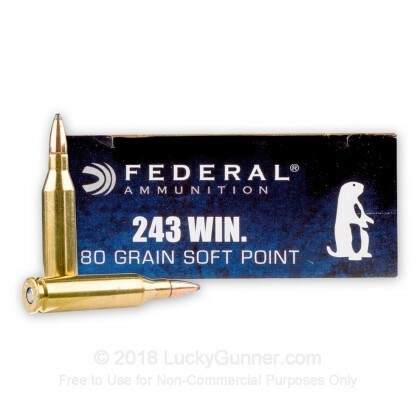 If your rifle is chambered in .243 WSSM, you will need .243 WSSM rounds and not the standard .243 Win. rounds.